Home of the #1 Working Dogs Podcast! My favorite thing in the world is to talk with other people who are passionate about working dogs. The Working Like Dogs podcast engages the most prestigious working dog leaders, trainers, handlers, researchers, authors, and yes, a celebrity or two! Podcasts are full of valuable information and entertaining working dog stories. Meet guests as they talk about dogs – their work with them and the books they written about them. 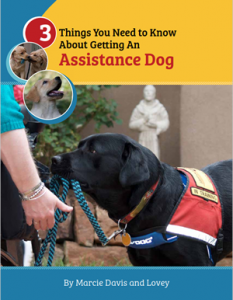 We talk thoroughly about the latest topics and trends in the industry including how to keep your dog healthy, service dog training programs, the latest research about working dogs, and much more. Working Like Dogs guests have included animal advocates such as Betty White, Dr. Robin Ganzert, American Humane Association CEO, Dr. Marty Becker from Good Morning America, Stacy Pearsall and Charlie from America’s VetDogs and the NBC Today Show, Brandon McMillan, host of CBS’ Lucky Dog, Richard Lord, Top Dog and CEO of Assistance Dogs Australia and Chairman of Assistance Dogs International, Bonnie Bergin, Bergin University of Canine Studies, and many more. Listed above are our five most recent podcasts. The links open the audio file in a new window.